Tickets are only $20 for a personal pasta or pizza and salad. Plus, you can dine in any time that day – making it easy to work into your schedule! 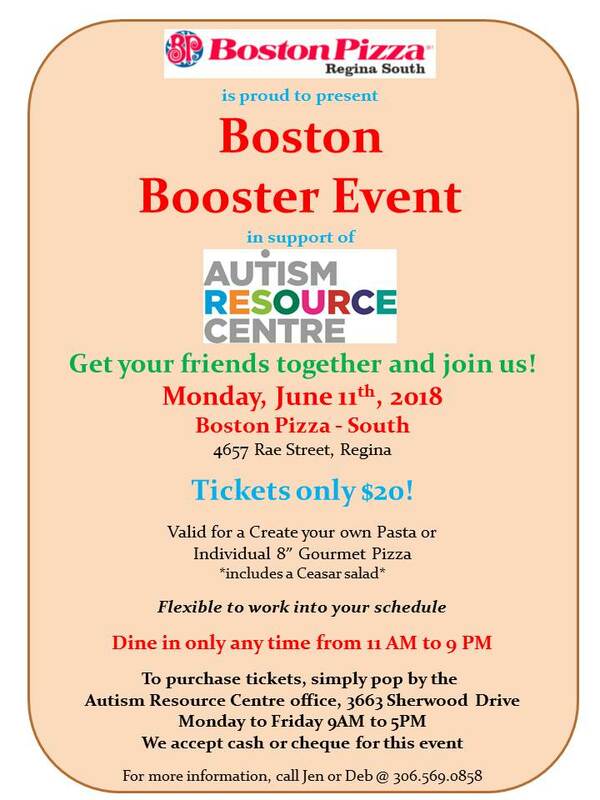 To purchase tickets, please pop by the Autism Resource Centre, 3663 Sherwood Drive. We are accepting cash or cheque for this event. Thank you so much for your support! We look forward to seeing you!